Member organizations of the Hudson Valley Smart Energy Coalition and concerned citizens like you participated for two years in a public process the NYS Public Service Commission (PSC) conducted as it considered the need for new high-voltage transmission lines that would cut through a major swath of the Hudson Valley. The Hudson Valley Smart Energy Coalition—and you—won a commitment that the project will be built within existing rights of way and not cross the Hudson River and its sensitive ecosystem. The chosen project route also will not destroy world-class views and natural surroundings at historic sites and destinations such as the Olana State Historic Site, FDR Home and Library, and Omega Institute. Using independent science and economic research, the coalition—and you—achieved modifications in the project and its route that will reduce potential damage to a host of community resources. Despite evidence that the $1.2-billion, ratepayer-financed initiative is unnecessary, unfair to ratepayers and predicted to increase pollution—on Dec. 17, 2015, the PSC announced it would move ahead with the project. Member organizations of the Hudson Valley Smart Energy Coalition will continue to play a role in the process as it moves forward to ensure the gains made are implemented and to push for the most environmentally sound energy system for the state. We will press for projects that will minimize negative impacts to communities, property owners and natural resources. During the next year New York State entities will require the competing power lines developers to submit refined proposals that comply with parameters—shaped by hard-won concessions brought about by the Hudson Valley Smart Energy Coalition and citizens—the PSC outlined in its decision. What can you do now? Be assured that the legal team of the Hudson Valley Smart Energy Coalition will stay engaged on this issue and alert you when it’s time again for citizens to get involved. To stay informed, be sure to sign up for email updates and, from time to time, visit our website and our Facebook page. We’ll keep you in the loop and let you know when the moment is right to mobilize once more. Thank you for all you’ve done in this campaign to advocate for strategies that will strengthen the state electric grid without damaging Hudson Valley ratepayers and key assets. "Disappointed, not surprised and certainly not giving up"
The above words from Farmers and Families for Livingston's Pam Kline sum up how we are feeling today. Today, the Public Service Commission, as expected, voted to approve the next step of the transmission line proceeding. While we are extremely disappointed at what we feel is a very poorly-considered decision, it does not come as a surprise. The intent of the PSC staff was revealed in their September report and motion, which the Commissioners just voted unanimously to approve. What we would prefer to focus on, however, is the road ahead. With the support of our communities, our coalition has won some important concessions regarding environmental and visual impact. There will be opportunities for public engagement again further along in the process, and we will do our best to make sure communities are prepared when that time comes. Below is the official press release from the Hudson Valley Smart Energy Coalition. Thank you all for your support and we hope everyone has a peaceful holiday season. 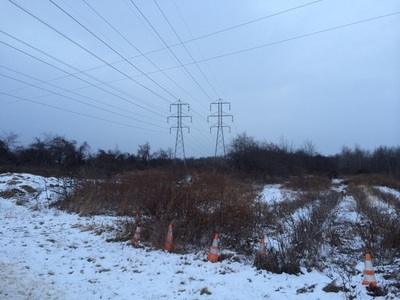 HUDSON VALLEY—The Hudson Valley Smart Energy Coalition (HVSEC) expressed disappointment with the New York State Public Service Commission (PSC) decision today to move ahead with a major, high-voltage power line project through the Hudson Valley. The decision, the coalition says, ignores ample evidence that the $1.2-billion, ratepayer-financed initiative is unnecessary, unfair to ratepayers and predicted to increase pollution. The decision also ignores thousands of public comments and expert reports undercutting the expressed rationale for the project—lowering peak-period electricity prices downstate and in New York City. Additionally, the proceedings have been rife with procedural flaws. The coalition said it still awaits a written order from the PSC to make the decision official. The HVSEC thanked citizens whose advocacy with the coalition during the two-year proceeding led to modifications of the project and route that reduce its potential damage to historic and cultural assets, community resources and scenic beauty. The group said its member organizations would continue to question the reasoning for this project and pursue a more modern, efficient and sustainable plan to meet the state’s energy needs. The HVSEC reiterated its well-documented position, based on independent scientific and economic research, that there is no need for the high-voltage power lines. The coalition also disputed the PSC staff position that public policies could justify the $1.2-billion project. Further, the HVSEC cited studies commissioned by the PSC itself that found that energy conservation projects consistent with the agency’s Reforming the Energy Vision (REV) proceeding would provide more cost-effective benefits to the state and ratepayers, with dramatically reduced pollution levels compared to the proposed transmission lines. The HVSEC and citizens who joined its campaign produced compelling scientific and technical findings that led the PSC to transform its regulatory framework for the project. One early success was persuading the agency to incorporate Gov. Andrew Cuomo’s preference for lines within existing, rather than new, rights-of-way. Expert reports commissioned by the HVSEC on the project’s negative visual and environmental impacts led the PSC to eliminate design options that posed more serious threats. However, these gains do not offset the public disappointment and bewilderment about the PSC’s decision to endorse the project in the absence of a demonstrated need and despite egregious procedural flaws. ​Attached are flyers for both events, and here is a link to a preview of the new film. Hope you can make one of these screenings! Friends and neighbors, please take note of an important meeting which will be hosted by our Dutchess County contingent in Pleasant Valley this Saturday at 10:30 am. If you missed the earlier presentations by Bard Research Professor Gidon Eshel, or if you just want to see Dr. Eshel speak one more time, make sure to catch this! Dr. Gidon Eshel will present new information regarding his research proving once again that there is NO NEED for new power lines in Dutchess and Columbia Counties. When Gidon presented in Columbia County last Fall, several hundred people attended. They declared the meeting a huge success with comments like, "We came because we are committed to protecting our Hudson Valley. 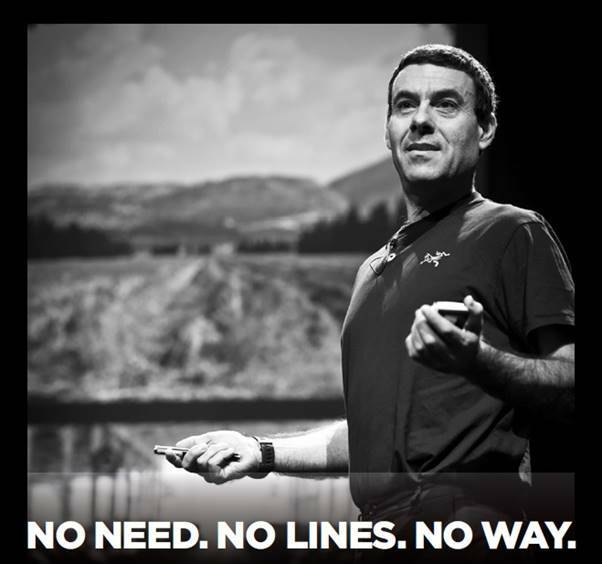 We never expected to hear a world-class speaker and have fun!" Please join us and bring your friends. 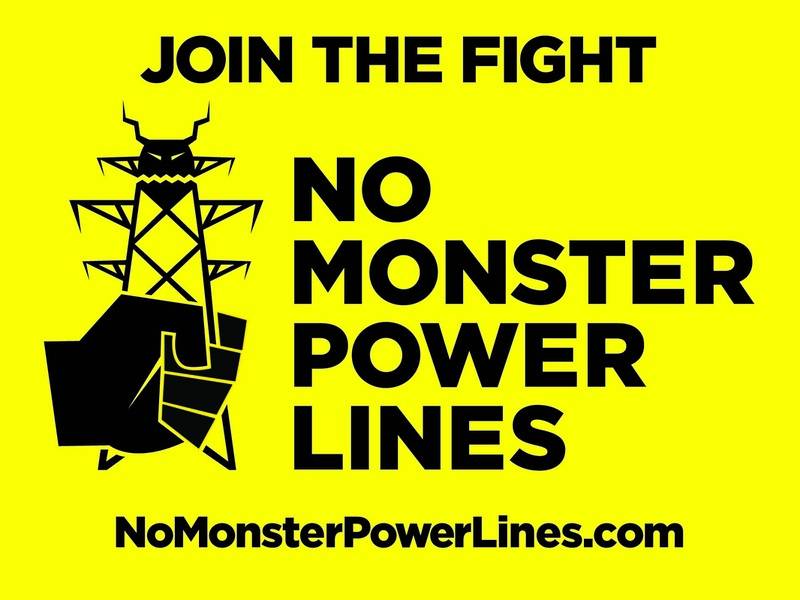 Developers are finalizing new power line designs in your neighborhood, and we have until March 30 to comment. Before we ratepayers see our bills go up, we need to look at the facts. No one has yet shown how ratepayers statewide will benefit. In fact, only costs are proven, and they could exceed $1 billion. The PSC wants ratepayers to pay ALL project costs (90 percent paid by Hudson Valley, NYC and Long Island ratepayers and 10 percent by upstate ratepayers) and 80 percent of cost overruns—so this impacts you even if power lines wouldn’t be on or near your property. Some developer proposals still include taking private land by eminent domain and nearly none of the developers have proposed the sensible long-term solution of placing lines underground. Most projects include transmission towers that could damage scenic beauty, productive farmland, tourism, municipal tax bases, cultural/historic resources, critical wetlands and wildlife. After a scientific examination from Hudson Valley communities moved the state to re-examine the need for this project, a technical conference has been scheduled for June. This may be our last chance to question the project, and focus our efforts instead on other worthy projects before state regulators, such as Reforming the Energy Vision (REV) that champions renewables and 21st-century energy solutions. 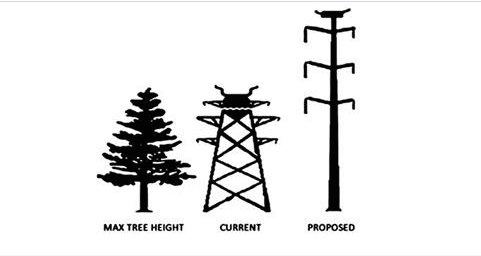 The PSC needs to know NOW that this is the direction our citizens wish to go, not building a new generation of transmission towers that will have a continuing impact on the landscape for decades to come. We are happy to announce the launch of HVSEC's online petition. Please visit the page and sign and then share! If the State won't change the parameters, we need to make a lot of noise. This is a way to have your voice heard. Those who’ve been engaged with the campaign have helped persuade the state Public Service Commission (PSC) to make an important move recently. The Hudson Valley Smart Energy Coalition (HVSEC) commends the New York State Public Service Commission (PSC) for working to seek more information on the need for proposed new power lines that could reach a height of 165 feet and cut through 25 communities and seven counties in the Hudson Valley. This is a victory but now the real task begins. The developers will dedicate substantial resources in attempts to prove a need for the project. We’ve got to continue showing the PSC and state leaders that not only are these new power lines not needed, they would damage community assets—and more and more Hudson Valley residents are opposed to them. Below are a few things you can do to help. The PSC last week called for project developers and Department of Public Service staff to provide more information on their view of the need issue, and committed to holding a technical conference on these issues in June 2015. This will provide formal participants in the process—such as Farmers and Families for Livingston and other members of the HVSEC—an opportunity to challenge the need and cost-benefit assertions and provide additional information of value to all stakeholders. The PSC announcement came in the wake of strong public opposition and a slew of recent information that calls into question the need for the new power lines. If you’ve been part of the coalition’s public campaign to challenge the need for towering new power lines and champion more modern approaches to meeting our energy needs—thanks! Whether you’ve been involved already or seek a way to join the cause, see below for a few things you can do to continue making a difference. First, sign the coalition’s online petition (http://www.thepetitionsite.com/286/872/133/dont-ruin-the-hudson-valley-with-huge-towers/). As the number of signatures mounts, we’re sending a strong signal to elected officials and key decision-makers as well as the utility companies proposing project plans that many, many people in the valley want smart energy solutions that don’t harm property values, family farms and other businesses, or the community character that makes living here special. Second, sign up as a coalition member (http://hvsec.org/join-us/) so you can stay informed about this critical campaign. Together, we can accomplish important things. Lastly—please reach out to your friends and neighbors and encourage them to learn about the campaign, sign the petition and sign up as a member of HVSEC. Some people believe this issue only affects people in direct proximity to the proposed power lines—but if the project goes ahead, it would likely impact the entire Hudson Valley economy. 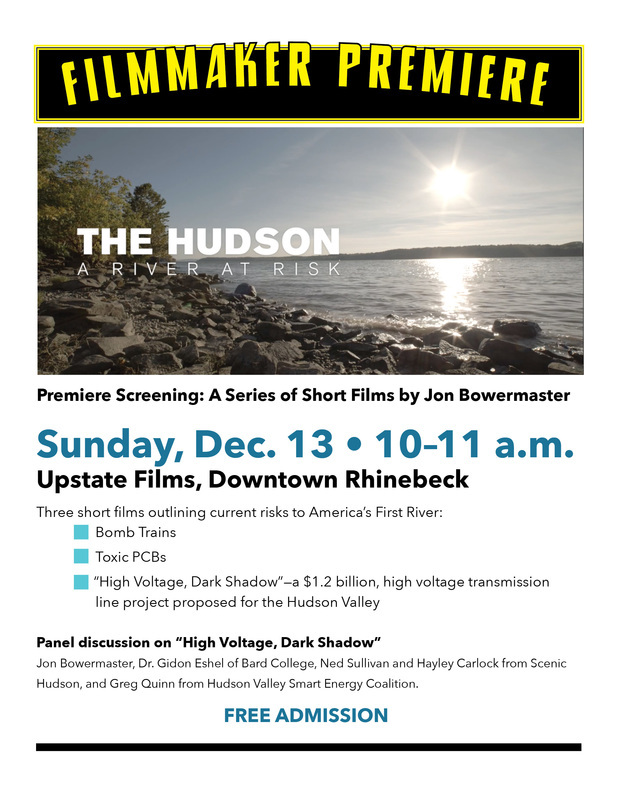 HVSEC is a broad-based collaboration of municipal officials; environmental, cultural, historic and land preservation organizations; businesses; and residents who support creation of a modern, comprehensive energy plan for the state and are working to protect Hudson Valley communities from potential negative impacts of new high-voltage power lines. 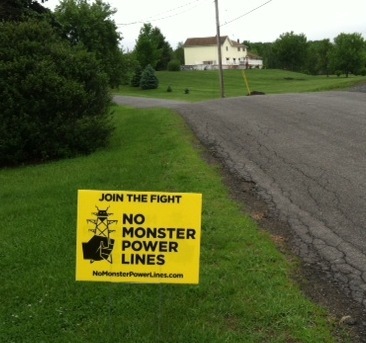 Farmers and Families for Livingston and Farmers and Families for Claverack were founded to oppose high voltage transmission lines proposed to run through our towns. Utility companies - NY Transco, North America Transmission and Nextera in Livingston and NY Transco in Claverack - are proposing to seize lands by eminent domain to upgrade 345kV high voltage transmission lines to supply NYC with additional power. The proposals as currently written will destroy productive farmland, disrupt communities, lower property values, harm historic homes and viewsheds, and will provide no power or jobs to upstate citizens. Join our fight to convince Gov. Andrew Cuomo and the Public Service Commission to find reasonable alternatives to seizing private land for private companies in the Hudson Valley. We are focused on educating our friends and neighbors and helping them comment to the Public Service Commission (PSC) so they hear our opinions. To protect our properties, livelihoods, health and our animals we are in favor of a solution with no negative impact on property owners and would ideally like to see all high voltage lines be buried when crossing historic areas such as Columbia and Dutchess Counties. The companies that bid on this project will not like to bear the additional cost of such solutions, but we believe citizens' property rights and the preservations of our natural resources trump corporate profits. On the DOCUMENTS AND RESOURCES page we have a tutorial that you can review or print before submitting comments.